The Internet is an incredible invention that has changed the world for the better. It's also a magnet for criminals who choose to hack, cheat and steal from the innocent and naive. iGaurdian believes they have the solution to protect home networks from this evil. For years we've been told to keep our anti-virus software running and up-to-date. We also know we're not supposed to click on phishing scam emails (which often appear to be from our friends or co-workers). Despite all this, a simple visit to a familiar website that has been compromised may be all it takes to infect our computer and enlist it as part of a botnet. Most all commercial Internet businesses use firewalls and instrusion detection systems to help protect their servers from unauthorized access and infection. However, there aren't a lot of simple and inexpensive options for home networks. iGaurdian, a product of Itus Networks, is a small hardware device that's a little larger than a candy bar. It's designed to plug into the main Internet feed coming into your house. Your wireless router or other network devices would then plug into the iGuardian. The iGaurdian acts as a sentry at the front gate and inspects all the incoming data coming into your house or small business. Before the data packets are sent to your home computers, cell phones or other devices, each packet is compared to a database of known threats. If a threat is detected, the packet is blocked from entering your home network. 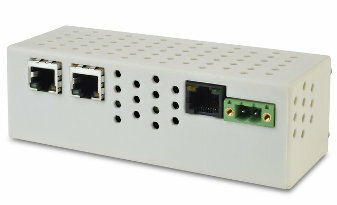 The device (a small computer in itself) runs OpenWrt which is a Linux-based operating system often used for embedded devices. Snort, an open source network intrustion prevention system (NIPS) and network intrusion detection system (NIDS) provides the actual detection of threats that may enter your network. The entire system runs on open source software and is freely available for anyone to download and run on a computer. The beauty of iGuardian is that Itus Networks has created a very compact and inexpensive piece of hardware from which it runs that requires relatively no setup. Trying to duplicate the iGuardian on standard computer hardware would most likely cost more that the iGuardian and require a significant amount of time for installation and configuration of the software. Itus is offering the iGuardian for $149 and that includes free automatic updates.